Please take the time to sign the Guestbook at the bottom of this page. We would like to hear your comments. 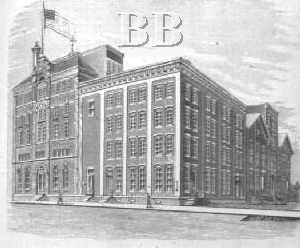 Over on Toledo’s East side in the year 1838 the Buckeye Brewing Company first got its start. It is believed to have started at Front and Consaul Street; this is the very same corner where Tony Packo café is today, the one made famous by Jamie Farr, Kilinger of M*A*S*H fame. The next big move to Buckeye came in 1854 when Julius Kohler bought the brewery and moved to its new location at Bush and Champlain streets, this is the same area where the brewery made its home till it closed in 1972. 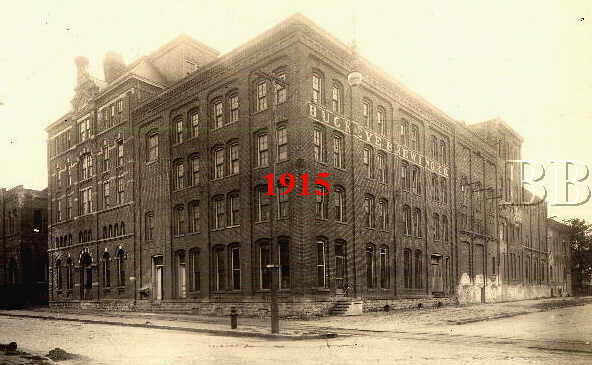 The brewery went through many hands during this time, first Kohler and Co., than Rudolph and Georgy, than in 1858 Stephan & Co. and Lehman & Eckarts than through the hands of J. Groenewold and Norton but it wasn’t till Jacobi and Coghlin bought the brewery in the mid 1800’s that it became a major producer of beer in the Toledo area. Jacobi and Coghlin used the date 1872 as the beginning of the brewery and you can find this date on some of the advertising memorabilia that Buckeye has, but the true date is 1838 giving Buckeye 134 years of brewing in the Toledo area. One of the nation’s oldest breweries, Buckeye maintained its record of continuous operation through the prohibition era by bottling soda drinks and brewing near beer. They also had underground facilities that they used for cold storage. After the repeal of prohibition Koerber’s and Lubeck breweries resumed operation, but by 1949 both had gone out of business, leaving Buckeye the only brewery in Toledo. 1879 Letterhead from the Jacobi Coghlin & Co. The start of what is now the Buckeye Brewing Co. This Website is ongoing; updates will be added on a regular basis.... so stop back often.